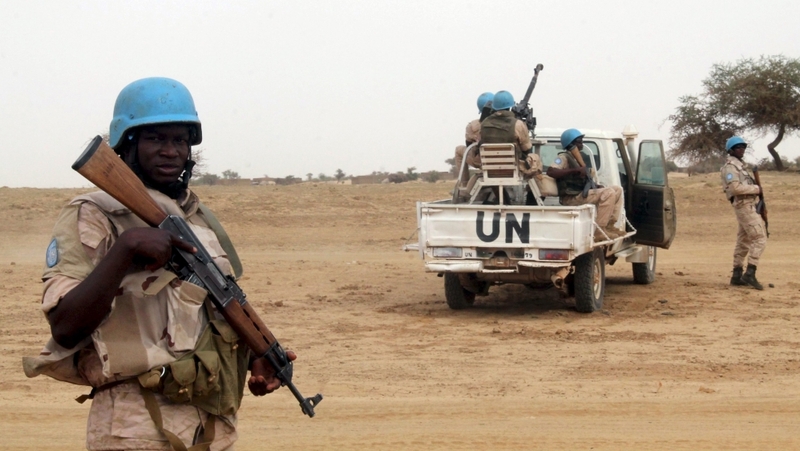 Five UN peacekeepers have been killed in an attack on their convoy in northern Mali, a spokesperson for the country’s UN peacekeeping mission has said. Spokesperson Radhia Achouri said other details were not immediately available. Two UN security officials told the Reuters news agency that the attack occurred close to Goundam, a town in the southwest of the northern city of Timbuktu. “It was five blue helmets between Goundam and Timbuktu,” one official with the mission, known as MINUSMA, told Reuters, asking not to be identified. A UN soldier said the convoy contained peacekeepers from the mission’s contingent from Burkina Faso. Another source within the mission told AFP news agency that nine peacekeepers were wounded in the attack, which appeared to have been carried out by fighters who were well-informed about the movements of the peacekeepers. There was no immediate information on the nature of the attack, although roadside bombs and ambushes by fighters armed with assault rifles are a commonplace hazard for domestic and international security forces in the region. A French-led military campaign in early 2013 liberated northern Mali from al Qaeda-linked fighters, who seized control of the area after the Tuareg uprising led to a military coup that plunged Mali into chaos. Despite peaceful elections after the French operation, the country remains deeply divided and the north has seen an upsurge in attacks recently by pro-government fighters and the Tuareg-led rebels. The UN says 35 peacekeepers have been killed in combat since MINUSMA’s inception in 2013, not including Thursday’s attack, making northern Mali the deadliest theatre on earth for its personnel.